Need more time for you? Extra Help can give you the spare pair of hands you need. Being a mum can be a challenge at the best of times. There are only so many hours in a day, days in a week and weeks in a month. But what if someone could give you the gift of extra hours, so that some of your Mum-Time becomes Me-Time? 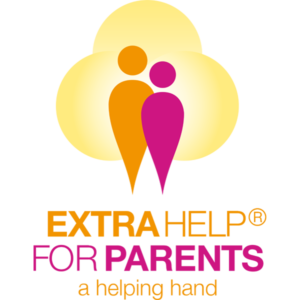 Introducing Extra Help Mother’s Help, a service specifically geared towards the needs of busy and working parents. Whether you need help with looking after your children on an ad-hoc basis, a few hours per week or on a more regular basis, we can assist you. Our mother’s helps are all personally interviewed, fully reference and enhanced DBS checked, so you can always be confident that your children are in the best possible hands. We can prepare healthy and nutritious meals for your children, taking their food preferences, meal times and any dietary requirements into consideration. You can call upon us to provide an extra pair of hands to prepare and serve food and drink and generally help out at your family events and birthday parties. After-school clubs and activities can really eat into your working day. You can rely on us to take your children to after-school activities, leaving you free to work. We all know that children can be messy! We can tidy and clean children’s rooms and play areas so you don’t have to worry about spending your valuable free time clearing up any mess they’ve made. Children often need supervision whilst doing their homework but it’s difficult to find the time if you need to work. We will ensure that your children complete any tasks and homework while you concentrate on your work. We can entertain your children, keeping them occupied during the school holidays and after school so you can continue working.